Media reports have it that the Lucknow-based Armed Forces Tribunal (AFT) reinstated Shatru-ghan Singh Chauhan, who had been dismissed from service for an offence a quarter century ago in Kashmir (Majumdar 2017a). In a search operation in Kashmir in 1991, a recovery of gold biscuits had been made. Chauhan alleges that these were appropriated by his seniors, while he was scapegoated for revealing the truth. On his part, the then corps commander, Lt General Mohammad Ahmed Zaki, recalling the episode clarified in an interview (Majumdar 2017b) that he acted in response to a complaint from the Advisor (Home) to the Governor that money had been stolen by someone during a search operation. An inquiry was initiated, based on the findings of which the proceedings against Chauhan were initiated. Zaki goes on to add that, on leaving Kashmir at the end of his tenure, he read news reports of allegations that he had appropriated the gold biscuits. The case testifies to how murky the army’s deployment can get in Kashmir. More serious and better known instances of transgression have periodically surfaced in Kashmir, with some taking on proportions of causes célèbres, such as Kunan Poshpora. It is debated whether these are—as critics have it—endemic and widespread or—as the army usually depicts them—instances of “aberrations.” While, to military votaries, the military ethic holds sturdy with a majority sticking to the straight and narrow, the military’s critics point to the inability of peer pressure to fully restrict some members from breaking bounds. In the light of over 2,000 unmarked graves having been found in villages across Kashmir early this decade and the estimate by the Association of Parents of Disappeared Persons that some 10,000 persons are missing, it is clear that, at least for a period of the deployment in Kashmir since 1990, ethically questionable practices were more prevalent than the army would care to admit. Critics attribute the current day angst in Kashmir to such practices. What this suggests is that the army could do with some soul-searching on the impact of its Kashmir commitment on its internal good health. There are other ways too in which its Kashmir odyssey has had an ambiguous impact on the army. Take the recent unprecedented elevation of General Bipin Rawat to the post of army chief, superseding two of his seniors. 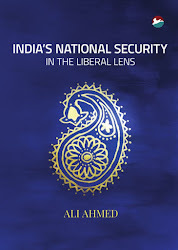 Among the reasons the government trotted out attempting to tide over the controversy was his operational record and extensive experience in counter-insurgency areas and along the line of control (LoC), contrasting this with the background in mechanised warfare of his two seniors. Controversy attended two aspects. First was the questionable elevation of operational experience at the tactical level as a necessary and sufficient condition to pip his two well-regarded rivals at the post. The inflation of this parameter amounts to incentivising ticket-punching in India’s disturbed areas by ambitious officers and, at one remove, making the army acquire a vested interest in disturbed conditions. The second was the controversy over the commandeering of senior appointments in the army by the infantry and artillery by so arranging the promotion system as to benefit members of these two arms. The expansion of the two arms has been occasioned in part by the deployment in the Valley (such as of the infantry-centric Rashtriya Rifles) as also along the LoC (such as for the artillery in wake of its showing in the Kargil War). The promotion system has been so engineered that, being larger, they constitute a larger percentage of the brass. Thus, the Kashmir commitment has led to the removal of professional merit as the singular criterion for promotion. The effects are now well beyond the army itself. The “surgical strikes” along the LoC late last year, avenging the terror attack on the army base in Uri in September 2016, have found their way into electioneering. In a record of sorts, 19 members of the teams that took part in the operations have been decorated for valour, seemingly being decorated for participation rather than—as is usually the case with awards for gallantry—for courageous action in face of the enemy. The last time such a slew of awards were given out was yet again by a Bharatiya Janata Party (BJP) government, when it decorated each of the deceased sentries at Parliament who died in the dastardly terror attack on 13 December 2001 with the highest peacetime gallantry award, the Ashoka Chakra. This reveals the political calculation behind the awards by the government, with the ruling party, fearing the effects of demonetisation on the provincial elections underway, considering that such politicisation of the military is a small price to pay for victory in elections. So, has the Kashmir deployment taken a greater toll on the army than reckoned so far? To the extent it is implicated in Kashmir, has Pakistan succeeded more than it ever imagined and in ways it could never conceive of? While there are good reasons for urging a rethink on India’s continuing hard line in Kashmir—last year’s toll of civilian dead in the unrest in Kashmir hovered round the three-figure mark—one reason worth examining is whether Kashmir is exacting an institutional price of the army, one of India’s better regarded institutions. 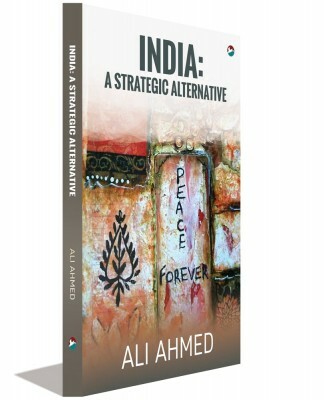 Rethinking the nature of India’s Kashmir commitment is certainly not one of the recommendations in the 550-page report submitted in December 2016 of the 11-member D B Shekatkar Committee on combat capability enhancement. However, Kashmir has been central to the very need for the report in first place. The perceived decline in combat capabilities, which the report’s recommendations serve to address, is long-standing. Since India is loath to admit to any role of nuclear weapons, the venturesomeness of Pakistan in Kashmir is attributed instead to the decline of conventional deterrence. Incessant force accretions beginning in the early 1990s with the creation of the Rashtriya Rifles have led to further attenuating conventional deterrence. Since the mid-1990s, a large proportion of the army has been deployed in Kashmir, perhaps over a third. Even though the army in the period acquired a third strike corps, Pakistan succeeded in bogging down in Kashmir any surplus conventional advantage India might have gained, thereby neutralising India’s conventional edge. The conventional edge that remained was not of the order as to give India any confidence to cross the LoC during the Kargil War, and made the country settle for coercive diplomacy in the wake of the Parliament attack. The then foreign secretary Shivshankar Menon’s (2016: 60–81) memoirs of the episode let on—though he does not admit as much —that as late as in November 2008, India was self-deterred from conventional reprisal to the terror outrage in Mumbai, even though India was by then half-a-decade into adopting a new offensive army doctrine, Cold Start. With Kashmir tying down significant numbers, the army continued down the path of expansion, this time in response to the growing Chinese threat. 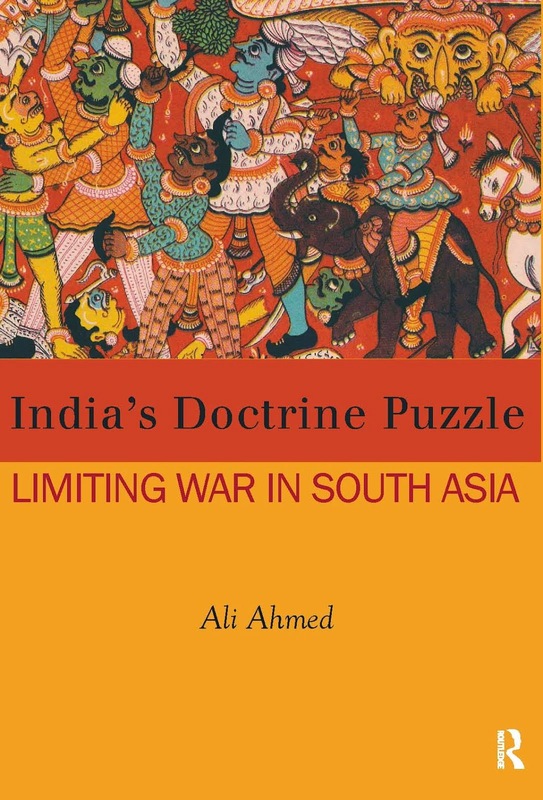 Though two mountain divisions were raised for a defensive role in the North East in the last decade, the Chinese threat, on which India’s Kashmir-mediated Pakistan obsession had an impact, was projected as a “two-front,” collusive war possibility. A new mountain strike corps was taken as the answer. The two-front formulation intended to recreate conventional deterrence on the western front by enabling dual tasking of the mountain strike corps, which was otherwise advertised and legitimated as a counter measure to the China threat. This inexorable expansion made the revenue portion of the defence budget outpace the capital part. As a result, though India had a new army doctrine of proactive offensive operations—the nuclear factor notwithstanding—it did not have the wherewithal to see it implemented. Despite a half-decade long hiatus in Kashmir through the first term of the United Progressive Alliance (UPA) government, the continued deployment of the army could not generate the confidence necessary to think of progressively removing the Armed Forces (Special Powers) Act (AFSPA). The three successive years of summer turmoil in Kashmir, 2008–10, and a reminder last year are now taken as the reason why the army, and AFSPA, need to continue in place. This sets up the circular logic: the need for AFSPA is because of the need for the army, and the need for the army owes to the AFSPA. In other words, the army becomes part of the problem in Jammu and Kashmir. Incentivising it to be part of the solution can be through pointing out that the army’s commitment in Kashmir is proving corrosive to itself. The counter narrative to this is that Kashmir serves with blooding in the army, keeping it combat ready. This is only true in a limited sense. From the honours and awards tally every year, it is clear that the cake is taken by the Special Forces. In an encounter in Kupwara forests in 2015, a Special Forces officer commanding a Rashtriya Rifles outfit was killed. While being a testimony to his leadership and bravery, it begs the question: where was the junior leadership and the soldiery? In 2016, there was a tussle over wrongly crediting the citation of a Special Forces Ashoka Chakra brave-heart to a Rashtriya Rifles battalion in whose area his Special Forces subunit was operating (Sawant 2016). The implication is that the foot soldier is the anvil and the gladiatorial Special Forces or their infantry counterpart, the Ghataks, are the hammer. In effect, the mainstream army is more or less in static guard duties, manning the LoC fortifications with Standard Operating Procedures as guide or carrying out routine population control measures. The spate of suicide attacks over the past two years has no doubt further tied down the soldier to his sentry post. The demands of the quick-off-the-blocks Cold Start doctrine, based on a “short, sharp war” concept, might prove rather heavy for an army if inertia-laden. The question to clinch the argument is: Else, why would Pakistan—to the extent it does—keep the pot boiling? The expansion of the army has seen a rise in levels of representation in the officer corps from the cow-dust belt and hills opening onto the Indo–Gangetic plain. A constant feature this century of reporting from passing-out parades at the academies is the state of origin of those gaining the commission. Invariably, the list is headed by Uttar Pradesh, Uttarakhand and Haryana. This narrowing of the social base of intake of the officer—the mainstay of a professional army—has long-term implications since this complexion of the officer cadre will last a couple of decades. The social and political mores of their areas of origin will gain currency within the army. Already, the succession battles of successive army chiefs this century suggest influence of casteist and, indeed, communal thinking. Unfortunately, the coincidence of the origin in the same region—Garhwal—of the new army chief, General Bipin Rawat, as the National Security Advisor, Ajit Doval, has prompted comment. They reportedly hit it off when the “surgical strikes” into Myanmar were being planned and executed in June 2015 (Dutta 2016). How the social biases in the catchment areas find expression in the army’s corporate attitude towards, for instance, gender inclusivity in terms of female officers going the distance, to pensions, and the recently-in-the-news “soldier-helper” system, is worth study. A narrowing demographic base that is not representative of the nation lends itself to having repercussions beyond the army. It is not without a sense of the possibilities that cultural nationalists have the army in their sights as the next institution to subvert and run aground. The BJP’s billboards claiming the army’s surgical strikes are only the visible part. Less visible are the possible numbers graduating from educational institutions subscribing to the cultural nationalist idiom and self-selecting to officership as a career. The threat now is of the political formation ascendant in the politics of the moment bidding for the army. There appears to be in place an assembly-line system of right-wing literature finding its way through social media into the mind of the officer over this decade. Revelations regarding the troll army affiliated to the ruling party (Sanghvi 2016) suggest that efforts to capture the military mind cannot be ruled out. There are military veterans studiously at work purveying the message that cultural nationalism and nationalism, and indeed patriotism, are one. The increased mobility of the military veteran with heightened pensions, longer lives and access to social media, and, in turn, an opening up of the army to the veteran—through, for instance, offering hospitality for a veteran jamboree for some or the other jubilee—have set up a transmission belt. Such transmission would be easier when the brass is divided. Ambitious generals would be on the lookout for political patronage. The alternative can spell oblivion. Take the case of the surprise supersession of Lt General Praveen Bakshi. It could well be owing to his lukewarm reference to “surgical strikes” operations in June 2016, similar to the one in the previous year. By not going to town over these, he perhaps consciously deprived the government of yet another opportunity to grandstand on the military’s achievement (PTI 2016). He has since paid a price. Apparently, taking his cue, General Bipin Rawat, in his very first interview (Unnithan 2017), brought the Cold Start doctrine out of the closet. This is to flaunt the conventional deterrent refurbished by the induction of what can be the mainstay of Cold Start, the T-90 MS tank. With Pakistan warned off, he has put Kashmiri stone-pelters on notice, that they would be taken as accomplices of terrorists in case they join the action in areas of military operations (DNA 2017). This licence to wilfully narrow the distinction between civilian and terrorist by no less than their chief amounts to a step down the ethical ladder for the army in Kashmir. Clearly, its Kashmir engagement is exacting a price of it in ways the army does not comprehend fully. DNA (2017): “Army Chief Warns Stone-pelters of Tough Action,” 16 February, viewed on 17 February 2017, http://www.dnaindia.com/india/report-army-chief-warns-stone-pelters-of-tough-action-2324584. Dutta, S (2016): “Rawat’s Appointment as Army Chief Is in Line with Modi’s Aggressive Foreign Policy,” Scroll, 19 December, viewed on 7 January 2017, https://scroll.in/article/824529/rawats-appointment-as-army-chief-is-in-line-with-modis-aggressive-foreign-policy. Majumdar, U (2017a): “Shooting the Brother,” Outlook, 20 February, viewed on 17 February 2017, http://www.outlookindia.com/magazine/story/shooting-the-brother/298454. — (2017b): “I Didn’t Know Other Soldiers Testified That Gold Was Seized,” Outlook, 20 February, viewed on 17 February 2017, http://www.outlookindia.com/magazine/story/i-didnt-know-other-soldiers-testified-that-gold-was-seized/298457. Menon, Shivshankar (2016): Choices: Inside the Making of India’s Foreign Policy, Washington DC: The Brookings Institution Press. PTI (2016): “No Strike Carried Out in Myanmar against NE Insurgents: Army,” Deccan Herald, 6 June, viewed on 7 February 2017, http://www.deccanchronicle.com/nation/current-affairs/060616/no-strike-carried-out-in-myanmar-against-ne-insurgents-army.html. Sawant, G (2016): “Army Demands a Re-write After Martyr Goswami’s Ashok Chakra Award Gets His Battalion Wrong,” Mail Today, 23 February, viewed on 15 February 2017, http://www.dailymail.co.uk/indiahome/article-3461055/Army-demands-write-martyr-Goswami-s-Ashok-Chakra-award-gets-battalion-wrong. Sanghvi, V (2016): “I Am a Troll: Inside the Secret World of BJP’s Digital Army,” Business Standard, 29 December, viewed on 12 February 2017, http://www.business-standard.com/article/beyond-business/i-am-a-troll-inside-the-secret-world-of-bjp-s-digital-army-116122801182_1.html. Unnithan, S (2017): “We Will Cross Again,” India Today, 4 January, viewed on 11 February 2017, http://indiatoday.intoday.in/story/lt-general-bipin-rawat-surgical-strikes-indian-army/1/849662.html.